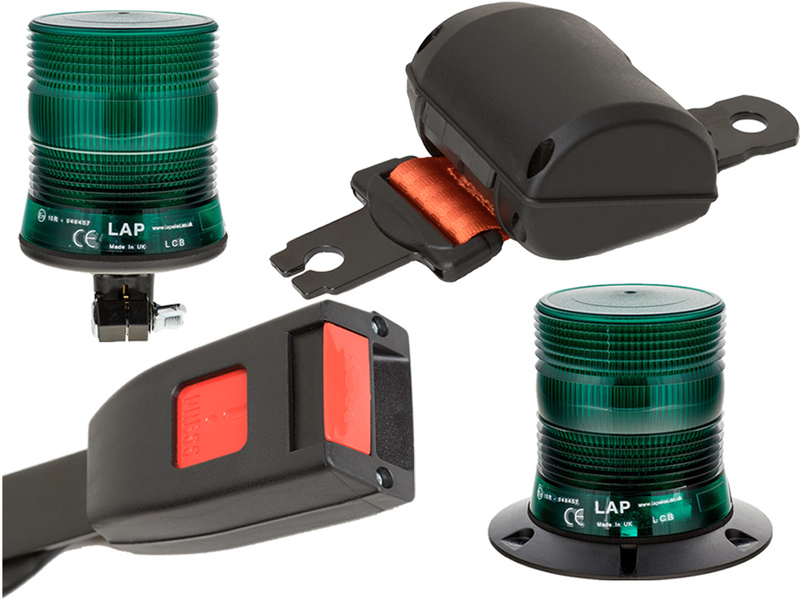 Our complete SBK seat belt kits are supplied with seat belt, buckle and a choice of green DIN, flexi-DIN, 3-point or single point LCB or LMB beacons. This is ideal for site vehicles and other heavy duty plant machinery. Full details of the LCB & LMB ranges of LED beacons can be found on pages 15 & 16 in the 2019 catalogue.